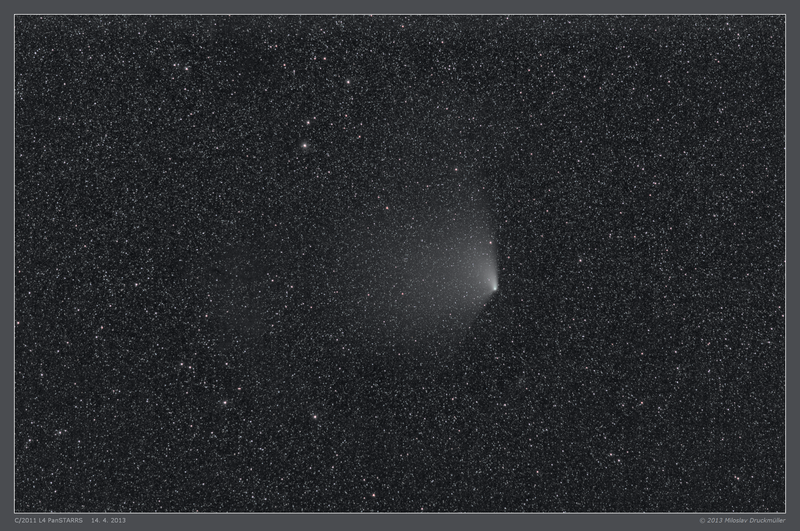 The observing conditions for comet PanSTARRS improved in the middle of April, because the comet was moving northwards and started to be circumpolar. Especially in the morning it was well observable over NE horizon. Fortunately the bad weather typical for this part of the year improved and there was a sequence of 3 clear nights (14. 4. - 16. 4.). 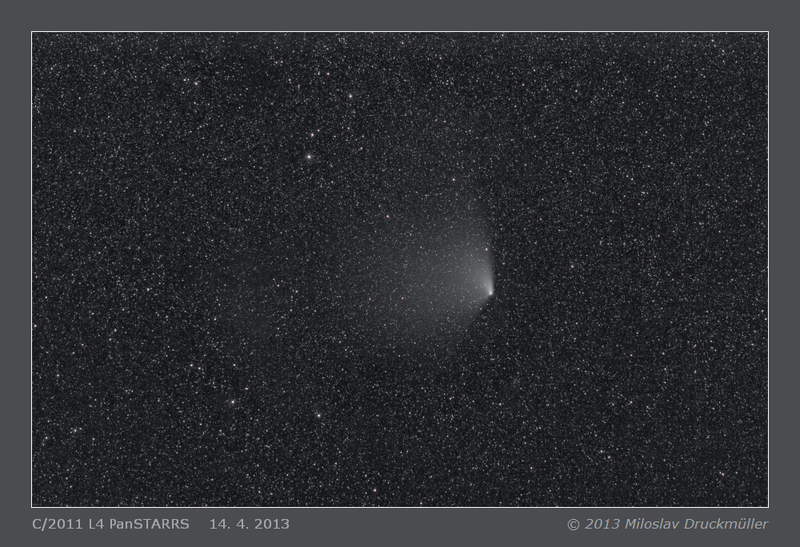 The image in this page shows the comet on April 14 morning. Click on the image or on the following reference to display the higher resolution image version (7.6 MB, PNG format).